A motivational LED graphics concept for the basketball cage by the company Magic Monkey won the first innovation competition that was held in Kortrijk as part of the FieldLab project. A first pilot concept was installed and tested but the project did not get a follow up. The Fasset-swing was the winner of the second innovation competition. 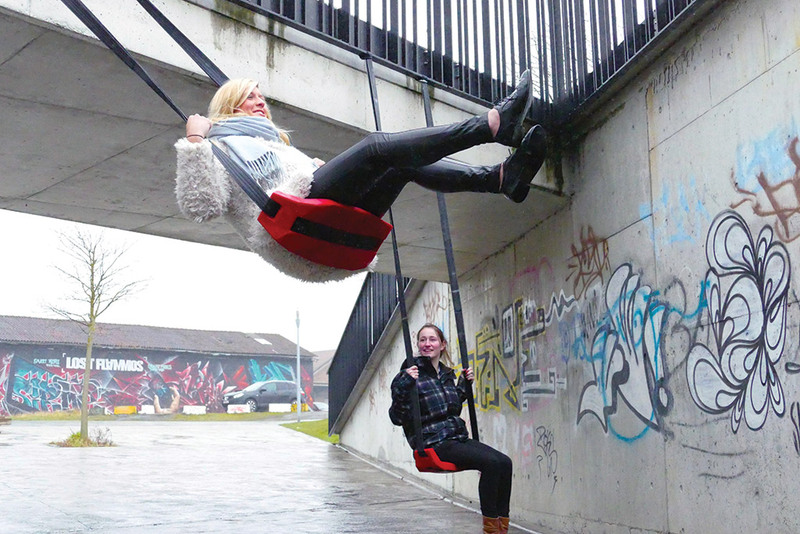 It is a swing that can be attached to any sturdy structure without any extra tools. This product has been designed by Crate, a design start-up founded by five Howest students Industrial Product Design as a Small Business Project. The winners received a 10.000 euro voucher for the further development and optimisation of the concept into a prototype, in cooperation with ISIPlast, Binder, Allweb, Kunnig, and Kinderspel. A first working prototype was installed and demonstrated at the opening of the FieldLabs in Kortrijk.